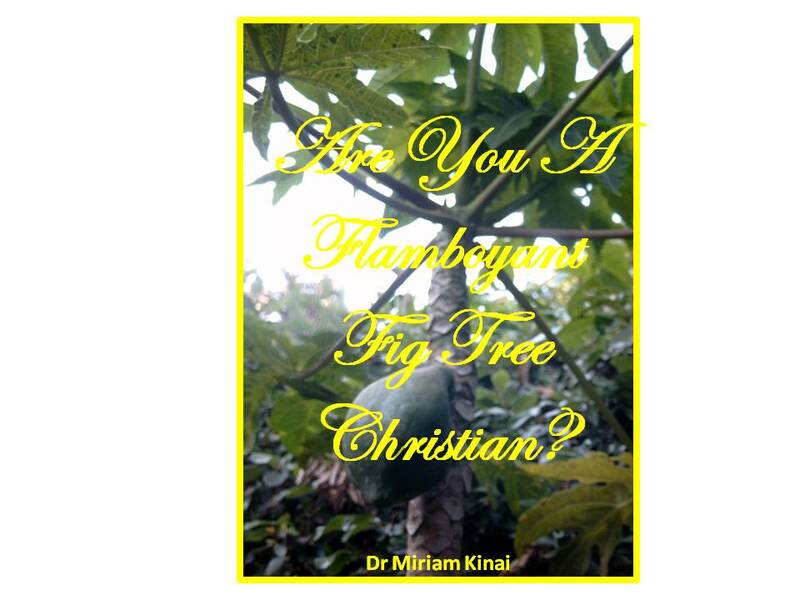 Christian Stress Management: Are You A Flamboyant Fig Tree Christian? Jesus approached this fig tree because He was hungry and its display of lavish foliage suggested that it might have something to satisfy Him. But, on approaching it and inspecting it closely, He found nothing to eat and satiate His hunger. 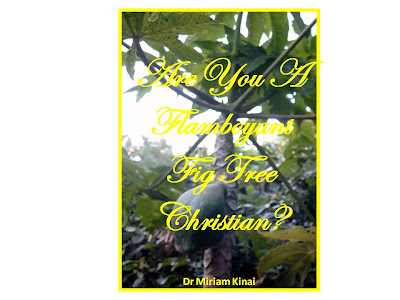 This specific fig tree represents flamboyant Christians who from afar seem to be very fruitful Christians. They maybe Christians who always carry their Bibles and whip them out at every opportunity to quote Scriptures to others. Or they maybe those who have multiple Christian stickers on their cars and numerous Scriptural plaques on their office desks. They may even be those who wear crosses on their neck chains every single day as symbols of their strong faith. Understand that carrying Bibles and wearing crosses and sticking Scriptures to cars is not wrong of itself. What is wrong is when these actions serve as false advertisements telling the public that one is a mature, productive Christian yet they lack the fruits of the Spirit which are the true symbols of mature, productive Christians. This false, flamboyant advertising is detrimental to the rest of the Church, which is the Body of Christ that needs nourishing, because it draws people only to sorely disappoint them when they receive nothing that can feed them on their life's journey. It is even doubly detrimental to non-believers because it can leave them not just disappointed but also disillusioned with Christianity.